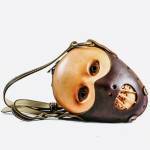 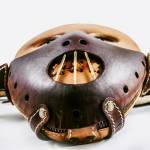 Bob Basset has created a mask bag shaped like the head of Hannibal Lecter, the iconic Silence of the Lambs character, for PURE Concept Store in Kyiv. 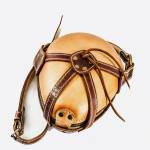 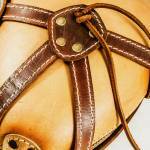 The mask bag is made of natural leather and boasts both a riveting look, typical of all Bob Basset masks, and full bag functionality. 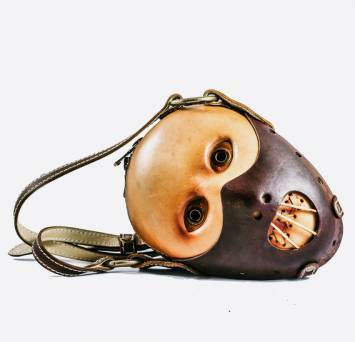 “Hannibal Lecter” was first shown as part of PURE’s exposition at Kiev Fashion Days 2011. 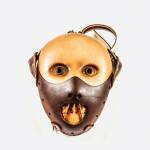 The mask bag also featured on the June page of the Kiev Fashion Days 2012 Calendar.